The spring 2019 season of LabCast has a new sound and fantastic new guests. Each episode features one story and one storyteller going deep on the creative process. Listen on Spotify or iTunes! 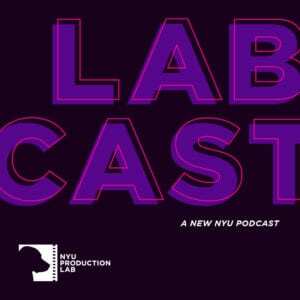 The NYU Production Lab’s Podcast Incubator. The program will include skill building workshops and mentorship sessions on story, process, field/studio recording, and more. A select group of NYU students and alumni will develop a polished pitch and first (recorded) episode for a narrative or documentary podcast, which they will present at a live pitch event. Sign up for the NYU Production Lab Newsletter for updates.